It’s that time again. Time for HEAT, and in Texas it’s no joke. Lucky for us Texans there are so many places to take a dip in the water. Unfortunately, most of us can’t do that everyday in the summer. Eating a frozen treat, whether it be a popsicle, some ice cream, or frozen fruit, is a nice way to relax and stay cool in the heat. Although I do enjoy dairy on occasion, I wanted to try out a couple of dairy free options made right here in the great state of Texas! 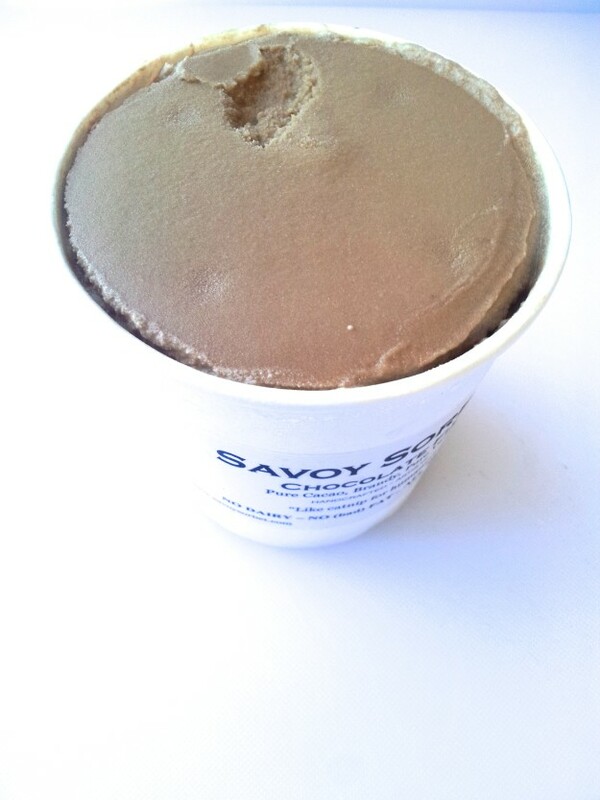 To even the playing ground, I went with the chocolate varieties of Savoy Sorbet and NadaMoo. 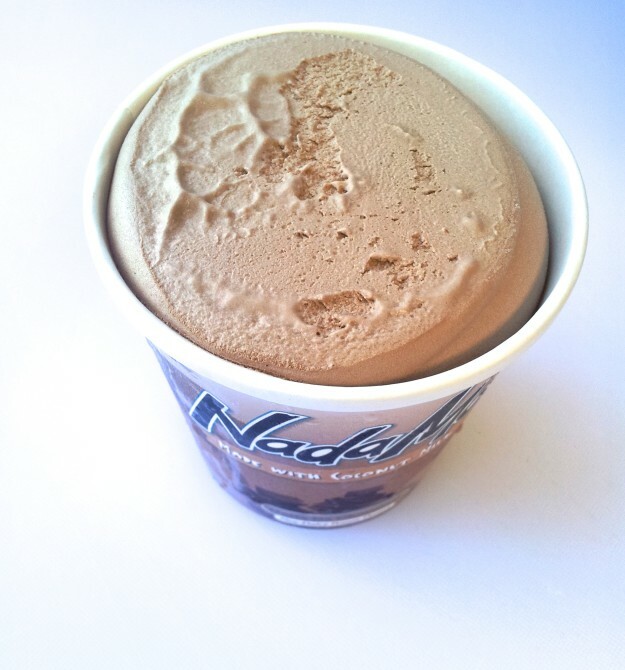 No one should have to give up ice cream, and NadaMoo does not disappoint in giving you something that tastes just like old fashioned ice cream. It’s light, airy, and super smooth. 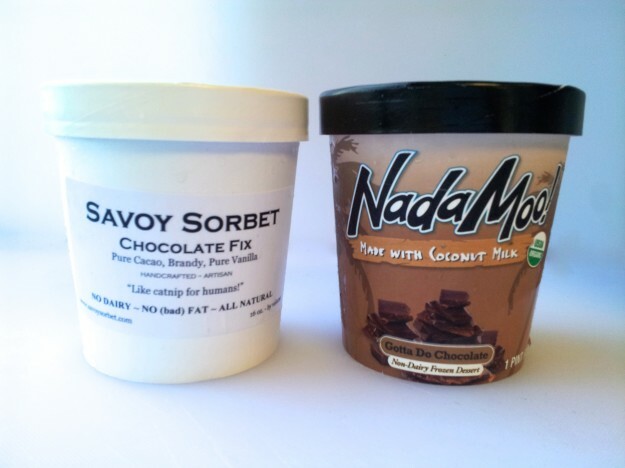 There is no way you could tell that it was dairy free. Also, Did I mention it was DELICIOUS?! And the added bonus? 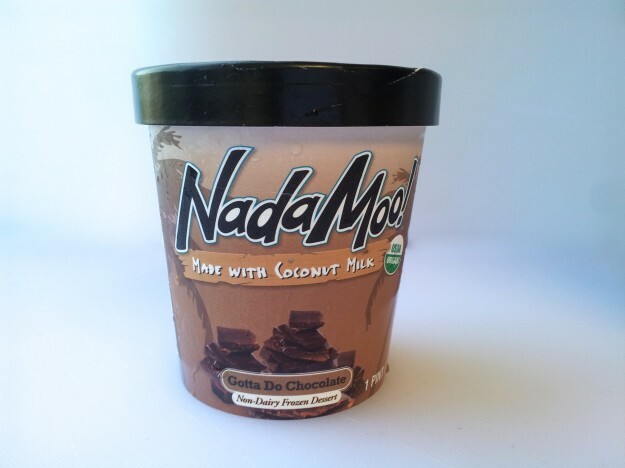 It’s Certified Organic and made with Fair Trade ingredients! 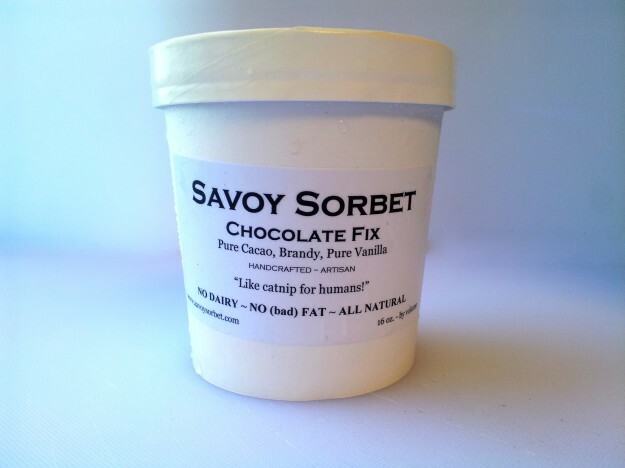 Savoy Sorbet is made in Irving, Texas, and premiered at the Dallas Farmer’s Market. I’m not going to lie, it was extremely hard not buying all of the amazing flavors she makes. With flavors like Rosemary Rosé Wine, Blueberry Sage, and Clove, it’s not hard to want to try them all!